Nights, lights and a lot of cleanup action. This week's snapshot was taken by Rick Fuller, water quality inspector for Tacoma, Wash.'s Environmental Services Department. The photo depicts a late night inspection of a $95 million EPA Superfund cleanup in Tacoma's Thea Foss Waterway. Nights, lights and a lot of cleanup action. This week’s snapshot was taken by Rick Fuller, water quality inspector for Tacoma, Wash.’s Environmental Services Department. 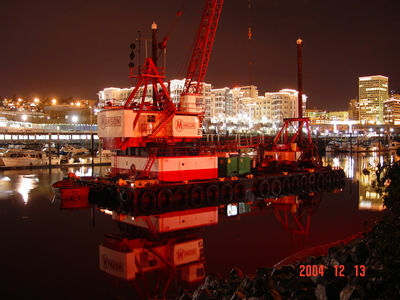 The photo depicts a late night inspection of a $95 million EPA Superfund cleanup in Tacoma’s Thea Foss Waterway.